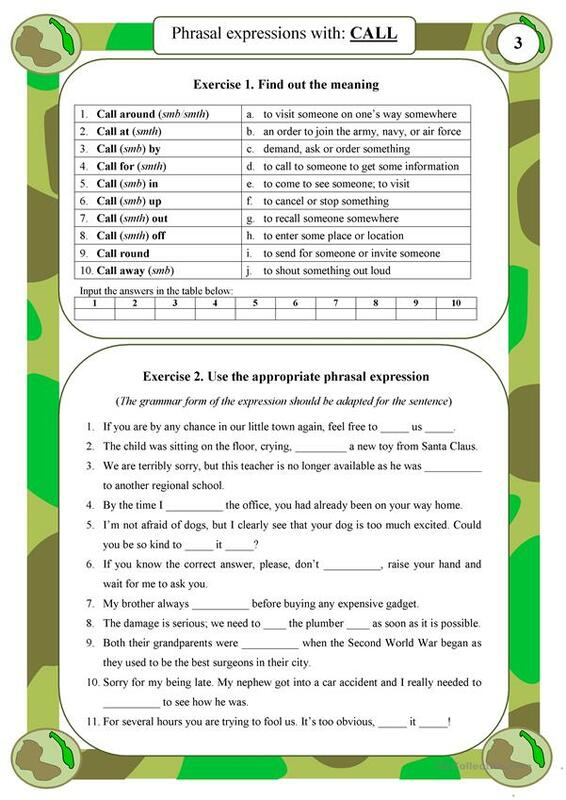 The third worksheet of the series dedicated to phrasal expressions, their explanation and their further use. Expressions with CALL are not known so well, so they may be of use to you. The KEYS are attached, likes and comments are always warmly welcome. This downloadable worksheet is intended for high school students and adults at Upper-intermediate (B2), Advanced (C1) and Proficient (C2) level. 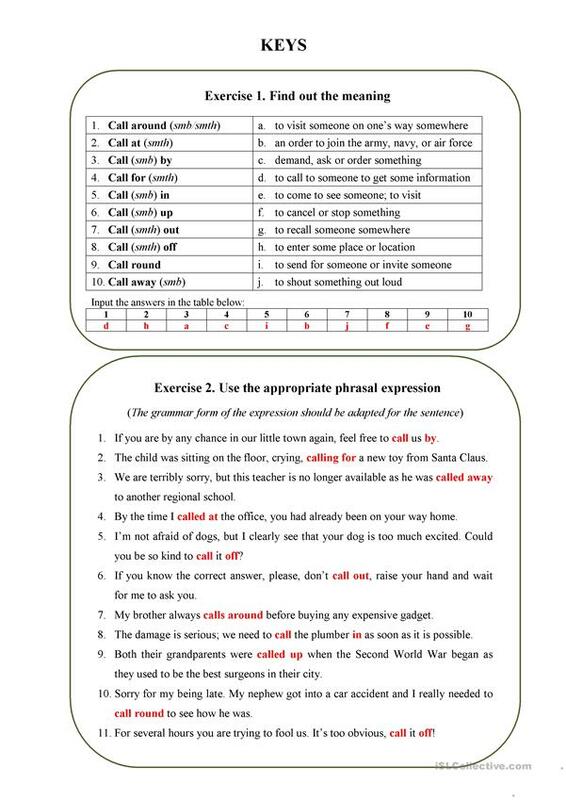 It is great for revising Phrasal verbs in English, and is a valuable material for working on your pupils' Speaking, Reading and Writing skills.